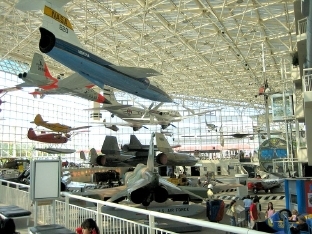 I don't know of anything that captures a child's attention like the flight museum in Seattle. We've visited flight museums in different parts of the country, including the National Air and Space Museum in Washington, DC, and every time we go to a place like that, the kids are captivated for hours and never want to leave. The flight museum in Seattle is no different. It's one of the coolest attractions in Seattle and you definitely need to make sure you spend some time here when you come. But be warned... Don't make any other major plans that day 'cause you might be there the whole day since there's so much to see! So what's at the flight museum in Seattle? There are a bunch of different exhibits that highlight various events throughout the history of aviation and one of the great things about the Seattle Museum of Flight is that some of the exhibits change all the time so you're always learning something new each time you go. Equally important, though, is that there are a few permanent exhibits at the museum that kids love to visit over and over again. Here are a few of them that your kids will be sure to love on your next trip to Seattle. My kids are totally crazy about anything that has to do with presidents. We recently visited Washington, DC, and they loved all the presidential memorials. Well, at the Seattle flight museum, the exact plane (Air Force One) that served US presidents Eisenhower, Kennedy, Johnson, and Nixon is on display. How cool is that?! It came to the museum in 1959 and has been preserved exactly how it looked back then. What's neat is that you can actually board the plane and see what it looks like. Well, if you're looking to see the fastest jetliner in the world, the Concorde, you've come to the right museum. Did you know that there were only 20 of these things ever buillt and that this is the only one on display on the West Coast of the United States? This supersonic airliner was donated by British Airways and you can now take tours of it. In addition to these two permanent exhibits, there are a couple of spectacular galleries that pay tribute to the various ages of aviation. The main gallery, the T.A. Wilson Great Gallery, is a 3 million cubic foot exhibit hall that has over 39 full-size aircraft, many of which are suspended from the ceiling. One thing I love about this museum (and that makes it different from some other flight museums we've been to) is that you can actually interact with some of the aircraft. 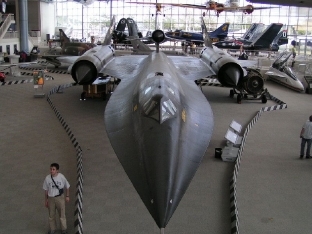 For example, you can climb into the cockpit of a real SR-71A Blackbird reconnaissance plane that's sitting right there in the gallery! When was the last time you were able to sit inside an aircraft that holds a speed record for the fastest piloted jet airplane in the world (at more than 2,100 MPH)? And if sitting in the cockpit of the SR-71A wasn't cool enough, you can also lower into the cockpit of a full-scale model of an F/A-18L Hornet Fighter, which is a fighter plane currently used by the US Navy and Marines. In addition to the plane exhibits themselves, the Wilson Gallery houses one of the coolest things I've ever seen in a flight museum... the first full-size air traffic control tower exhibit in the nation. Yes, you read that right, an air traffic control tower where you can go inside and listen to real tower communications between pilots and controllers while watching planes take off and land at SeaTac airport. If you don't think that is the coolest thing ever, then maybe the flight museum in Seattle isn't right for you. But if that sounds like something you and your family would love, then I highly recommend checking it out. And if you're serious about going, make sure to pick up a Go Seattle Card . Not only will it get you into the flight museum in Seattle for free, but you'll have included access to tons of other popular Seattle Tourist attractions, and you'll only have to pay a single price. Back from the flight museum in Seattle.